Where: Springfield, Massachusetts at That Cannabis Show, a unique cannabis expo. Wendy and Karen will be there on their LegalizeIt Tourfor auditions for The Marijuana Show as well. 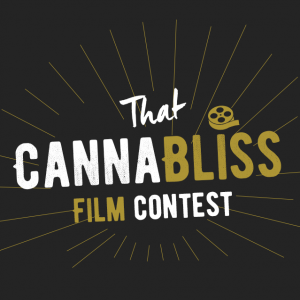 Why join the Cannabliss Film Contest? HOW HAS CANNABIS CHANGED YOUR LIFE? WHY DO YOU BELIEVE IN THIS INDUSTRY? WHO DO YOU KNOW WHO HAS BENEFITTED FROM CANNABIS? WHAT’S YOUR HAPPIEST CANNABIS MEMORY? Share your Cannabliss with us in a video 90 seconds or less. No need for a fancy film degree or production crew for this one. Just pull out your smartphone, hit record and capture the essence of your cannabliss! Share your Cannabliss Story HereThe CannaBliss film contest is part of That Cannabis Show, a unique cannabis expo. Plus if you’d like to audition for the Marijuana Show Season 4, Wendy and Karen will be at That Cannabis Show on September 15-16, 2018 and will be viewing Auditions. This entry was posted in Blog, Events, Think Tank. Bookmark the permalink.